Mike Snarr represents clients in international trade and investment disputes and counsels them on compliance with trade laws and international agreements. He represents clients in antidumping and countervailing duty litigation, arbitration under free trade agreements and investment treaties, and disputes with U.S. Customs and Border Protection over the classification, valuation, and origin of imported goods. Mike advises government contractors on compliance with the Buy American Act, Trade Agreements Act, and other procurement laws with country of origin preferences. Mike has been recognized by Chambers USA, Legal 500 and Expert Guides’ "Best of the Best USA" for his work in international trade litigation. He and his colleagues in the firm’s International Trade team also were awarded International Trade Practice Group of the Year for 2018 by Law360. 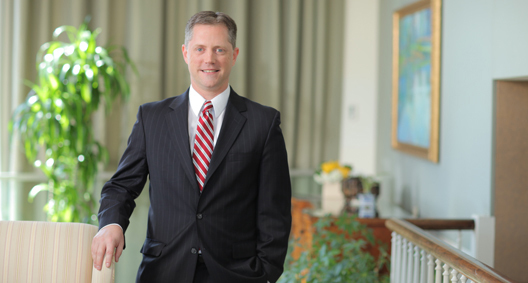 Mike has successfully represented clients in trade disputes before the World Trade Organization, NAFTA arbitration panels, U.S. federal courts and agencies, and foreign trade authorities. He is a frequent speaker on “Buy American” trade preferences in government contracts, as well as other customs and trade issues. Advised foreign government counsel in WTO dispute resolution proceedings leading to client’s vindication in U.S. trade remedy dispute. Represented numerous foreign manufacturers and associations in the U.S.-Canada softwood lumber trade dispute, which has been called "one of the most significant and enduring trade disputes in modern history." As part of the BakerHostetler team, won decisions excluding clients from the imposition of countervailing duties, orders to protect clients from punitive duty measures, and the first decision under U.S. law rejecting the Department of Commerce’s practice of "zeroing" to artificially inflate antidumping duty margins. Helped importing client to reverse U.S. Customs and Border Protection’s erroneous classification decision, including an unwarranted $1 million duty bill, and to obtain the imported goods duty-free in time for customer delivery. Advised client with respect to international claims against foreign government, resulting in a successfully-negotiated resolution that preserved the client’s assets and foreign investor status. Represented multinational companies in arbitrations under the investment chapter of NAFTA and bilateral investment treaties. Assisted companies with making prior disclosures of customs compliance errors to protect against substantial penalties, and with discovering cost-savings through correction of inadvertent overpayments of duties. Helped government contractor to obtain exclusive right to federal supply contract as the sole domestic supplier under applicable "Buy America" procurement regulations. Obtained favorable country of origin determination for manufacturer from U.S. Customs and Border Protection securing substantial government contracting opportunities for new business. Represented clients in litigation arising from other administrative proceedings before federal government agencies.